1) DIURETICS These are typically used to treat high blood pressure. A diuretic causes your body to expel more fluid, so it is easy to see how this could lead to more severe dry eye. 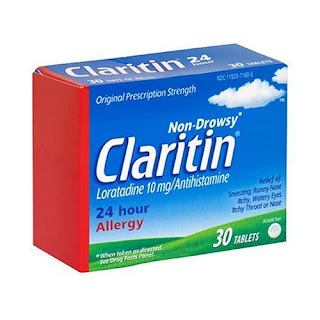 2) ANTI-HISTAMINES Allergy season is quickly approaching, so a lot of Americans are going to start dosing the OTC and prescription strength oral allergy meds. These medications can improve ocular symptoms like itching or puffy eyelids, but they are going to make your dryness a lot worse! 3) DECONGESTANTS Cold medications constrict mucosal membranes (like your sinus tissue to prevent a runny nose). Guess what, the eye is covered with a mucosal tissue to (called the conjunctiva), and constricting this tissue makes it really dry out. 4) BIRTH CONTROL PILLS We already discussed hormonal changes as a major contributor to dry eye in this post, so no surprise here. 5) ANTI-DEPRESSANTS These medications can actually decrease production of the lacrimal gland, causing marked and sometimes devastating dryness. 6) BETA BLOCKERS These drugs inhibit the sympathetic nervous system, so they can prevent acute spikes in blood pressure. But that also means they block sympathetic nervous system signals that cause lacrimation and salivation, resulting in dry eye and dry mouth. 7) ACNE MEDICATIONS Well not all of them, but the very commonly prescribed Accutane is a major offender. 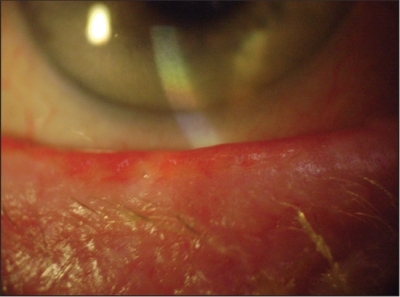 Remember how we discussed in this post that the lipid component of the tear film is secreted by the meibomian glands? Well meibomian glands are oily glands just like those on your face that cause pimples, so Accutane can cause the secretion in these glands to dry up and sometimes the glands even irreparably scar over.